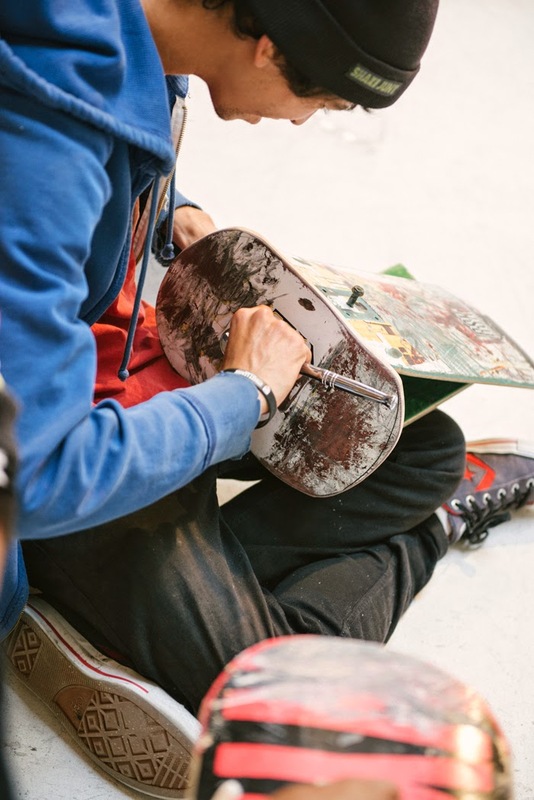 “Creative Recycling”, is the third of five interactive workshops from Converse. 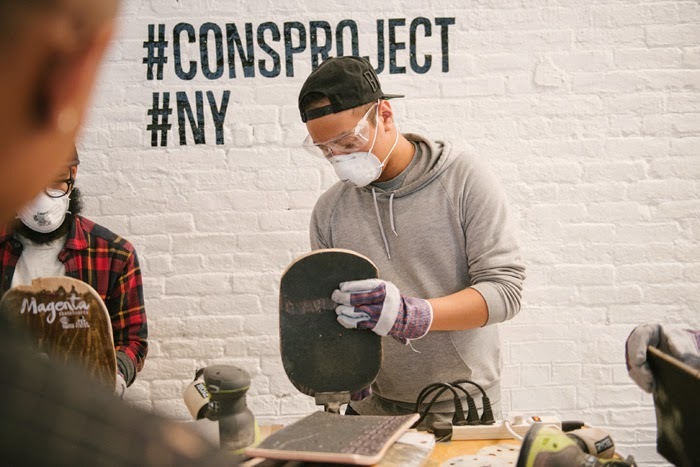 Taking place now through Spring 2015, these multi-city workshops entitled, CONS Project, are a series of community events designed to inspire the next generation of creative spirits through interactive skate, art and music workshops. 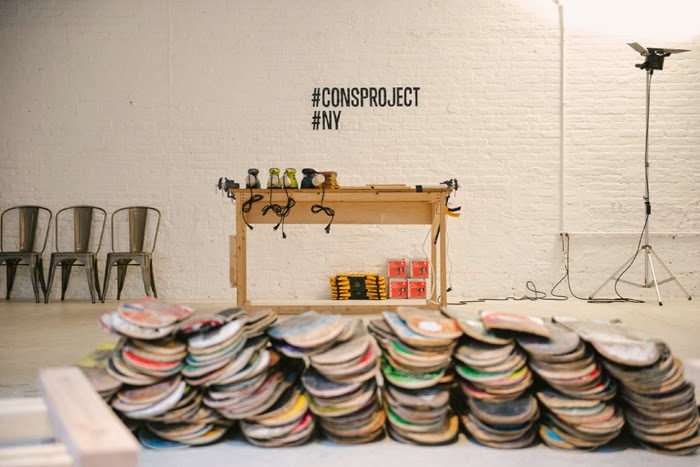 Converse, along with Jason Podlaski, craftsman and founder of skateboard recycling company, Deckstool, recently led a New York workshop where participants were invited to build their own stools made from recycled skate decks. Photo credit Zander Taketomo. 1.) 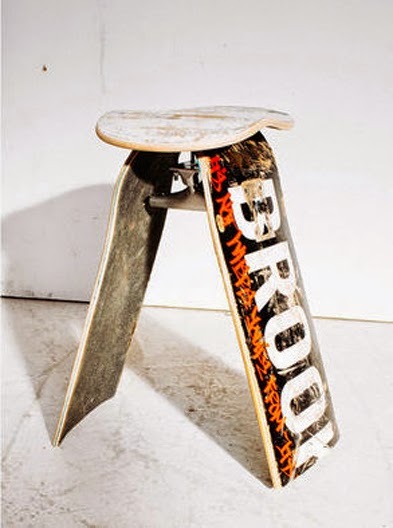 The stool requires (2) Full or (2) 3/4 skateboards for the each leg and (1) half skateboard for the seat. 2.) Cut both full boards (or 3/4 skateboards) to 18" length for the legs. 3.) 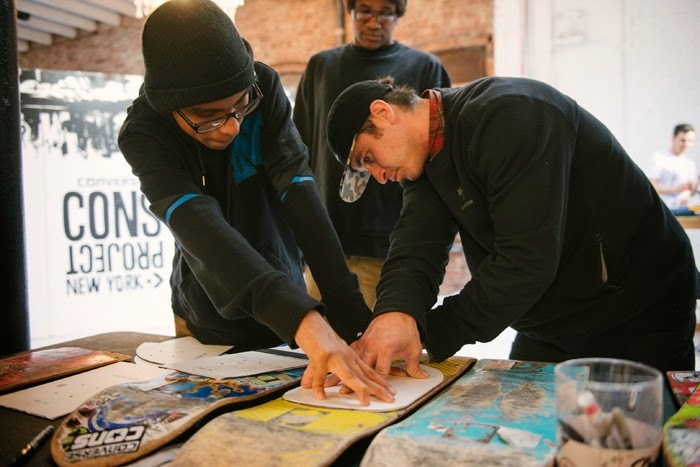 Cut the half board to 12" length, ensuring the truck holes are located in the center of the board. 4.) Sand all edges of each board to make smooth. 5.) 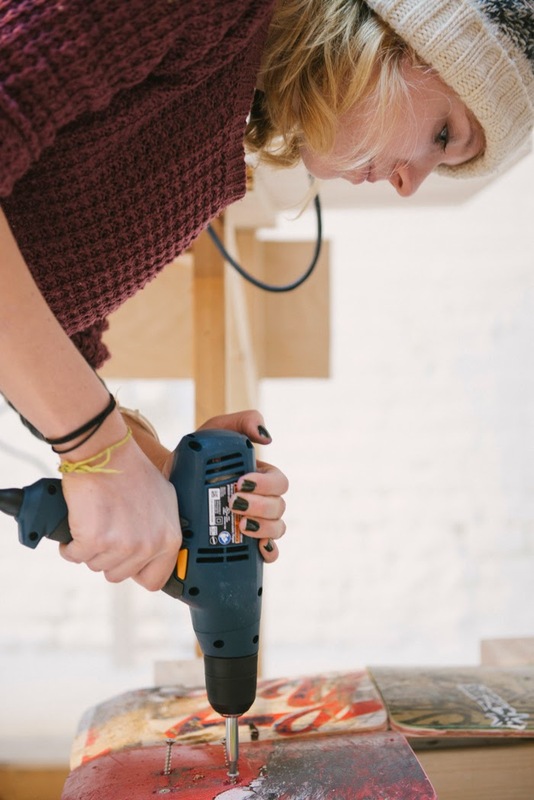 Drill one hole (approximately 3/8" in diameter) in the center of the truck holes on each leg. 6) Drill out existing four (4) truck holes on seat to fit long bolts. 7.) Insert each side of skateboard truck through holes drilled into each leg and secure from opposite side with lock nut. 8.) Attach the stool seat to the truck using long bolts and lock nuts. 9.) 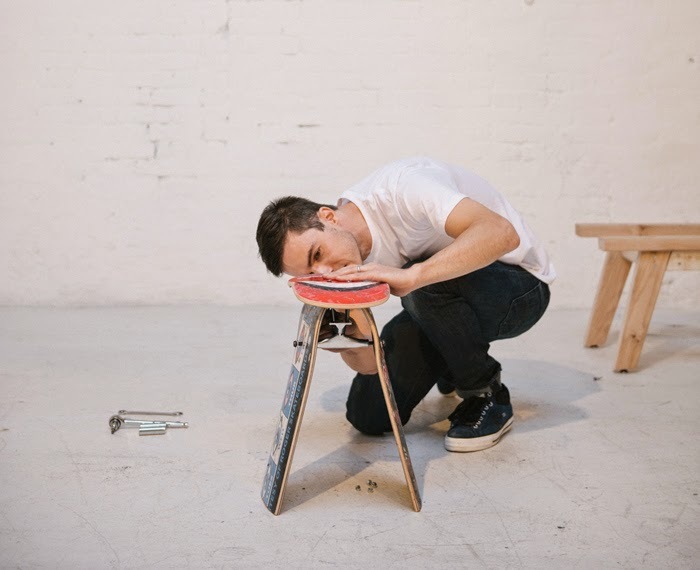 Tighten the screws gradually, rotating between the four bolts on the seat, while simultaneously tightening the lock nuts on stool legs until stool is steady and sturdy. 10.) You’re done! Now take a load off on your brand new seat. This would be awesome in a teen boys room!